Home / Public / What if #Antisec and LulzSec is the FBI? Today, the @YourAnonNews Twitter account theorized that Antisec, which was created just before LulzSec began retreating into Anonymous, was in fact the creation of the FBI. 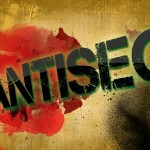 At the time of Antisec’s inception, there was some chatter within the hacking community that LulzSec created Antisec in order to stage some misdirection—to get authorities looking elsewhere. Almost simultaneously, if memory serves, some observers were even suggesting that government authorities, whether in the US or UK and elsewhere, were bearing down on LulzSec. YourAnonNews has created a document laying out the timelines of the FBI’s activity with Sabu and the rise of Antisec, and it’s a very enlightening read. For instance, the first mention of Antisec occurs on June 4, 2011, when The Lulz Boat Twitter feed tweets, “So gather round, this is a new cyber world and we’re starting it together. There will be bigger targets, there will be more ownage. #ANTISEC.” On June 7th, as we know, the FBI paid a visit to Sabu and got him singing arias. On June 19th, Sabu returns from an extended break and tweets, “Operation Anti-Security:http://pastebin.com/9KyA0E5v – The biggest, unified operation amongst hackers in history. All factions welcome. We are one.” The same day Operation Antisec is announced via Pastebin. No, folks. Trust your government to do the right thing. Read the entire timeline over at Scribd.